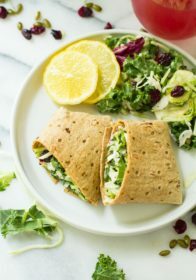 This healthy cranberry sauce is super easy, packed with delicious flavor and best part is, it can be made with no sugar added. Cranberry sauce is a favorite of mine! I absolutely love the pairing of sweet/tart cranberry sauce with savory turkey and stuffing. Such a tasty combo! 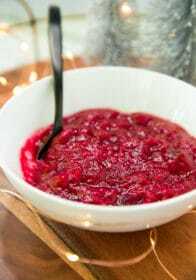 I just cannot with the canned cranberry sauce and this recipe I’m sharing today is the best cranberry sauce I’ve had! It’s just the right amount of sweet while still remaining true to the delicious tart profile of cranberries. 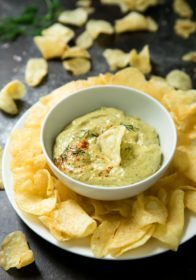 The texture is perfect and with how easy this sauce is to make, you’ll never want to go back to the cans! And as it turns out, making homemade cranberry sauce is super quick and easy. Start by combining cranberries, orange zest, water and stevia in a large saucepan over medium heat. Watch closely and stir frequently. The cranberries will begin to become soft, break down, and thicken the sauce (thanks to the natural pectin in cranberries). 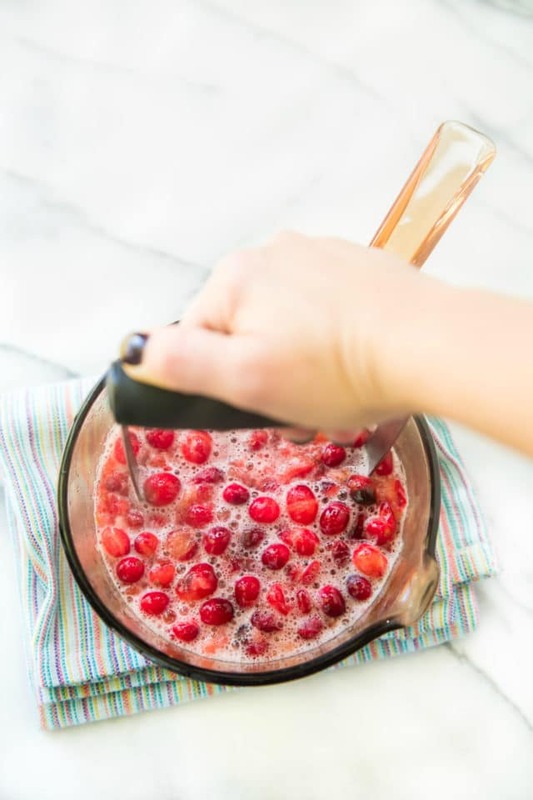 You can use a fork or potato masher to smash the cranberries as they become tender. 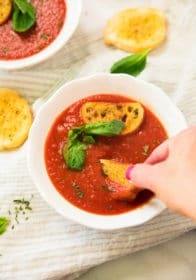 Once you remove sauce from the heat, it will continue to thicken. My cranberry sauce cooked for about 8 minutes. And that’s it. I told you homemade cranberry sauce was actually SO easy! No worries if you have leftover cranberry sauce. There are sooooo many great ways to enjoy it! Serve it over top of pancakes or waffles with a side of whipped cream. Use it as jam and spread it over toast. Serve a scoop over the top of banana bread oatmeal. Make these delicious leftover turkey sliders. 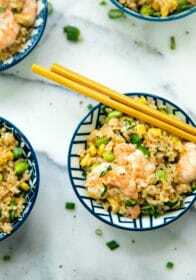 Add it to yogurt and granola and make a parfait. 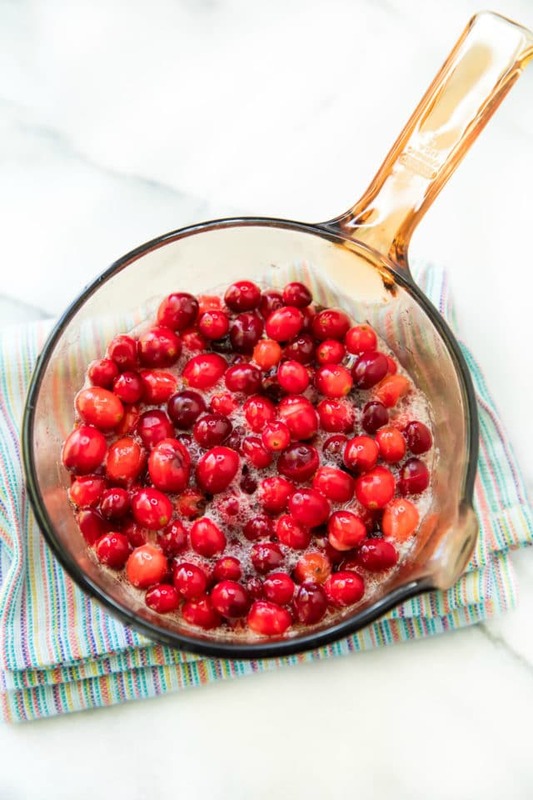 Combine cranberries, water, orange zest, and Stevia in a large saucepan over medium heat. Bring the mixture to a boil over medium-high heat, then reduce heat to medium-low and cook, stirring occasionally, until the cranberries have popped and the mixture has thickened to your liking, about 5 to 10 minutes. Use a fork or potato masher, if desired, to further mash up cranberries. Remove from heat and stir in vanilla and cinnamon, if using. The sauce will continue to thicken as it cools. 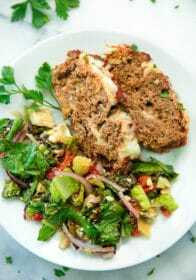 It will keep in the refrigerator, covered, for up to 2 weeks. *HOW TO REMOVE ZEST: I use a microplane grater (affiliate link) which easily removes the zest. You could also use the fine holes of your box grater. If you want to simplify, skip the zest and stir in ¼ cup orange juice instead. 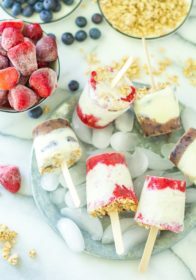 Thank you–this is just what I have been looking for–and I love it over vanilla ice cream and non fat Greek yogurt too! I love these pictures! They look so festive. And the cranberry sauce sounds delicious. My dad is diabetic, so I’m always trying to watch the sugar in foods that I make for him. This is perfect! Thank you!